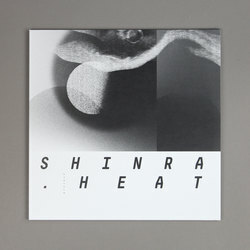 James Shinra - Vital Heat. Vinyl LP. Bleep. James Shinra is becoming one of Analogical Force’s signature artists. 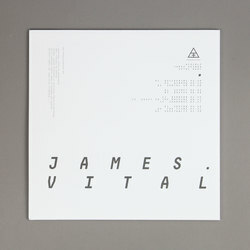 His new LP, Vital Heat, is the third record that the British producer has dropped on the label in a little over 18 months. It appears that his brand of emotional acid/electro has struck a chord with a label whose roster also includes Brainwaltzera and Pye Corner Audio. 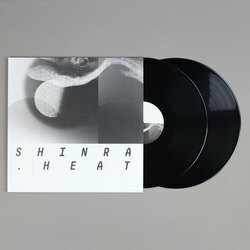 On this new release we find Shinra leaning a little heavier on the braindance style that has always lurked in the corners of his music. Tracks such as ‘Window’ and ‘Spinet’ zip around with an energy that is nicely offset by their plaintive synths. Elsewhere ‘Ghost In The Machine’ and ‘Magikk’ feature lengthy hard club sections that soon give way to cerebral synthscapes.